House Majority Leader Kevin McCarthy pulled out of the race for House Speaker Thursday, saying that, like current House Speaker John Boehner, he didn't think he could unify the Republican party any longer. Boehner unexpectedly announced that he is resigning at the end of October, and he endorsed McCarthy as the top GOP pick last week. 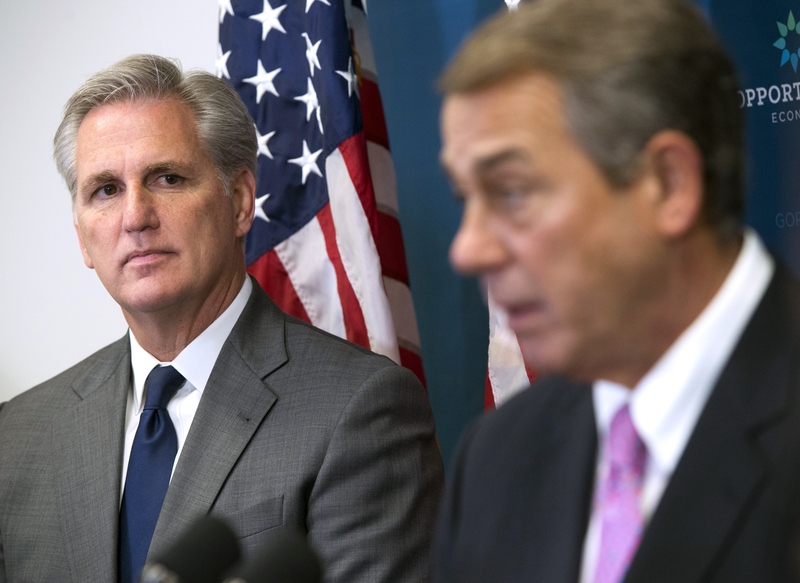 Who will be in the House speaker election following McCarthy's decision to drop out? There were two candidates who had planned to run against him. Rep. Jason Chaffetz of Utah and Rep. Daniel Webster of Florida both said that they would bring a fresh perspective to the GOP in a way that McCarthy couldn't. Chaffetz, whom the AP described as "brash," is the chairman of the House Oversight and Government Reform Committee, where he helped launch investigations of the Secret Service and Planned Parenthood, among others. Chaffetz said he was recruited by Republicans that he couldn't name, but he certainly doesn't have as much clear support as Webster, who is supported by the conservative Freedom Caucus. Webster tried to oust Boehner from his position in the past, and he received more votes than any other Boehner opponent at the time. Shortly after, Boehner removed Webster from his post on the House Rules Committee, which gave more fuel to those who claimed that Boehner should step down. About 40 House conservatives announced Wednesday night that they would support Webster. That number brought into question whether McCarthy could even gather the 218 votes he would've needed to be elected on Oct. 29. When McCarthy announced that he would no longer seek the position Thursday morning, representatives attending the closed meeting told the Chicago Tribune that the room grew completely quiet with shock and disbelief. The election will now be postponed, and the House has yet to specify a new date. McCarthy alienated the hard-line Freedom Caucus last week when he suggested in an interview with Fox News that the House committee investigating Benghazi was politically aimed at damaging Hillary Clinton's presidential campaign. Republicans within the Freedom Caucus told the Tribune that they were backing Webster because they thought McCarthy would continue Boehner's supposed reign of unchecked power. "We feel that conservatives have been greatly marginalized by the current leadership," Rep. John Fleming of Louisiana, a Freedom Caucus member, told the Tribune. Now, some Republicans are worried that this setback could affect high-stakes negotiations on federal spending and the debt limit.